When was the last time you crammed for an exam? Why didn’t you keep up all year long, studied a bit every day, so you would just have to review your notes as a refresher the night before? Would you run a marathon the night before a marathon? This sounds ludicrous, but I see a lot of athletes do too much leading up to the final week of the last big race. The reason? 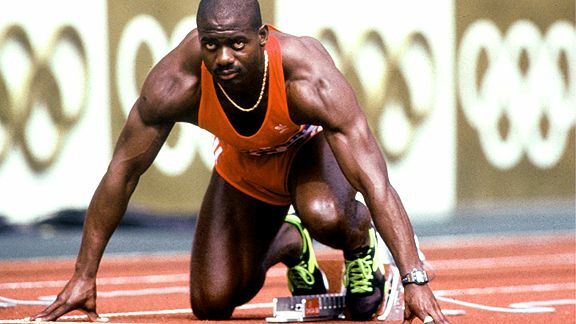 For sprinters, they fear they will lose speed! For distance runners, it’s conditioning they fear losing. For sprinters, the key is to maintain CNS stimulus. Roger Banister, the first man to run the mile under 4 minutes, took 6 days off before his WR attempt. Imagine, 6 Days off! Do the work, let everything fall in place. Another problem or challenge is trying to peak at the right time. You or your athletes may be on a double or triple peridization schedule where you peaked indoors in February/March, then the national Trials in June/July and finally the Olympics or World Championships in August/September. Like the cliché from the butcher shop, “Fresher is always Better“. By shifting the graph to the left or right (overtrain vs. undertrain), you can see how an over-trained athlete (i.e. hard training on the recovery day) won’t have a chance at the supercompensation effect, whereas an untrained athlete will have some supercompensation. Another consideration is to adjust the taper to the athlete on how easily he or she will go through the rounds. For example, there used to be 2 rounds in the 100m on Day 1 (separated by at least 6 hours), and 2 rounds on Day 2 (separated by 90 minutes). The first round can be a warm up for an elite sprinter, but don’t run too easy; you have to make sure you advance! Masters athletes in M45, M50 and M55 are used to 4 rounds when you have over 81 athletes show up at Worlds! In a 400m, you can run 3 or 4 races in 4 days (heats, quarter-final, semi-final, and final) depending on the Championships. Peaking and “running the rounds” is an art, and it’s only through experience where you can master the art form. If you want to see a real live example and application of the Charlie Francis 10 day Taper, an excellent video is Perfecting the 10 Day Taper by Derek Hansen. READ How do you Handle Losing a Race... that was yours to Win? Useful!!! Thanks Jim. Still I didn’t get what’s happening in day 1 (or 2)? Does anyone have a study or references/evidences (with real measures/medical analyses results) on or about super-compensation? I highly recommend the 10 day taper by Derek Hansen; Charlie and Derek take you day by day with one of Derek’s sprinters leading to his big meet, very informative. What does the strength training look like. I thought I remembered reading something about Ben’s lifts being outragous even before major meets. Any truth to that? Thanks for all you guys do this is one heck of a site. It’s interesting that he kept the exact method in his coaching with Ben. I came across this image where they were discussing the Charlie Francis 10 Day taper. What does Max strength refers to inday 10, 6 and 3?